Spending Christmas away from home can be daunting. You want to be sure you’ve found a good place, within your budget, to sit down with your friends or family and tuck into a delicious feast. Luckily we’ve done the legwork for you, so take your pick from the sumptuous options below, make your booking, and relax. We’ve got you. Here are our top choices for festive feasting in Cape Town, 2018. Note: Prices were accurate at the time of writing, but please check with the restaurant as they may be subject to change. Bookings are going fast, so please book soon to avoid disappointment. The Taj is decking the halls with some seriously drool-worthy dinners. Both Mint and Bombay Brasseire are open for Christmas Eve and Christmas Day, with set menus for both meat-eaters and vegetarians. Mint will delight with a buffet dinner filled with fusion flavours—chicken liver parfairt, Cape Malay style pickled fish, a variety of salads, stuffed turkey breast, lemon and herb chicken, Malay seafood curry, lamb Bourguignon and an exciting selection of desserts including Christmas mince pie and Yule log. Brasserie is offering five courses of Eastern-inspired dishes, including crab puri, turkey raan filo ‘puchka’, tandoor, and gulab jamun cheesecake. If you’re after something sophisticated and different, the Taj is the place to be. Celebrate Christmas at Blanko, at the iconic Alphen Boutique Hotel in Constantia, with a family-style Christmas Set Menu. Starters include gravalax of salmon, gammon, and goats cheese. Choose between leg of lamb, sea bass, or turkey for your main course. All the mains come with scrumptious side dishes of roast veg, hasselback potatoes, and glazed baby carrots. A sweet ending of tiramisu and friandise rounds up the festive feast. This isn’t technically a meal option, but it’s great for those looking for a fun and affordable way to spend Christmas. The Galileo Open Air Cinema will be screening the classic, Home Alone, at Meerendal Wine Estate. Tickets get you a backrest, picnic blanket, something sweet to eat, and a Christmas hat. You can pack your own picnic, or buy food at the venue. There are halaal and vegetarian options, and you’ll find a huge selection including popcorn, craft beers and ciders, nachos and burritos, pizza, burgers, and boerewors rolls. Rumour has it that Santa and his helpers will be paying The Galileo a friendly visit. This is a great option for families with kids, and what better way to spend a Cape Town Christmas than lounging on the grass with a picnic and ice cold drinks. Menu: Whatever you pack in your picnic basket! Food, snacks and drinks will be available at the venue too. Peach Tree restaurant is hosting a festive buffet lunch that contains all your favourite traditional items such as gammon and lamb on the carvery, along with a huge dessert spread including trifle and mince pies. Dine in style at the Cape Grace Hotel with a delectable Christmas buffet lunch or opt for the set menu for Christmas dinner. Expect favourites like confit chicken, slow cooked lamb shoulder, and beef fillet at the lunch buffet. The buffet of desserts includes a mouthwatering selection of sweets – think sticky toffee pudding, eclairs, macarons, ans mousses – plus traditional Christmas cake and mince pies. The set menu for dinner promises to be an elegant affair. Cocktails and appetisers will be served on arrival. Starters give a choice between seared scallops and smoked ostrich, while mains of confit duck or springbok loin will be served after a palate cleanser. After dessert – milktart mille feuille or chocolate mousse – Christmas cake, mince pies, and hot beverages will end the evening on a festive note. The Azure Restaurant and Atlantic Terrace Marquee at Twelve Apostles are doing both Christmas Eve and Christmas Day this year. On Christmas Eve, guests will receive a welcome drink on arrival before settling in for an indulgent festive set menu. On Christmas Day, they’re serving up a three-course buffet-style Christmas feast. There’s dukkah spiced turkey breast with sweet red onion jus, pork kessler with sweet apple sauce, Malay vegetable and dhal curry, and seasonal vegetables. Desserts like coffee and chocolate yule log, peanut butter and berry whoopie pies, and berry and almond pie will excite those with a sweet tooth. The hotel will be offering a cornucopia of festive goodies, so expect things to get jolly! The Radisson Blu Waterfront Hotel offers Shades of Blu this festive season. The Christmas Eve dinner is a three course menu with a plated starter, buffet main course, and a plated dessert, while the Christmas luncheon and Boxing Day braai both offer a three course buffet. The Christmas meals include table decor, a gift, and crackers. Expect live entertainment at all three meals. Belthazar Restaurant & Wine Bar offering a festive family Christmas overlooking the harbour, with views of Table Mountain. They’re open for Christmas lunch and are serving a three-course set menu. there are choices of traditional roasts, seafood dishes, and mouthwatering desserts. Guests will be greeted with a welcoming glass of sparkling wine on arrival. Balducci is one of the Waterfront’s oldest restaurants, and they’re the place to be for a traditional but elegant Christmas lunch. There will be seafood, turkey, and traditional Christmas pudding! Platters of mains will be brought to the tables to share, giving a real family-feel to the dining experience. La Colombe was awarded the honour of 7th best restaurant in the world in 2017. They’re opening their doors for Christmas, with an five-course set menu that is guaranteed to delight the senses. This is fine-dining and is best for those without kids. The menu is not available to the public at this stage, but we have faith that they’ll pull out all the stops to impress even the most discerning palates. Menu: You’ll have to wait and see! Yizani has a beautiful traditional lunch buffet on offer. There’s an exciting array of dishes from the requisite gammon, to oxtail stew and Cape Malay lamb curry. Barristers is a great option for those looking for a casual and affordable feast. There is a set menu to enjoy, with a choice of Barristers Christmas steak or chicken cordon bleu for mains, and all the trimmings to make it a festive experience. The President Hotel will be serving up a buffet style feast and n festive atmosphere with dishes no one in the family will be able to resist. Guests will be welcomed with a complimentary drink and live entertainment as they tuck into a scrumptious three course menu. The buffet boasts the chef’s most decadent creations with Franschhoek smoked salmon, a selection of carvery including honey roasted gammon, heavenly cold and hot buffets, and sweet delights. Cost: R650 per person (wine, gin, and beer not included), kids under 6 eat free, kids under 12 pay R200. Shimmy is back by popular demand for its annual Christmas feast! 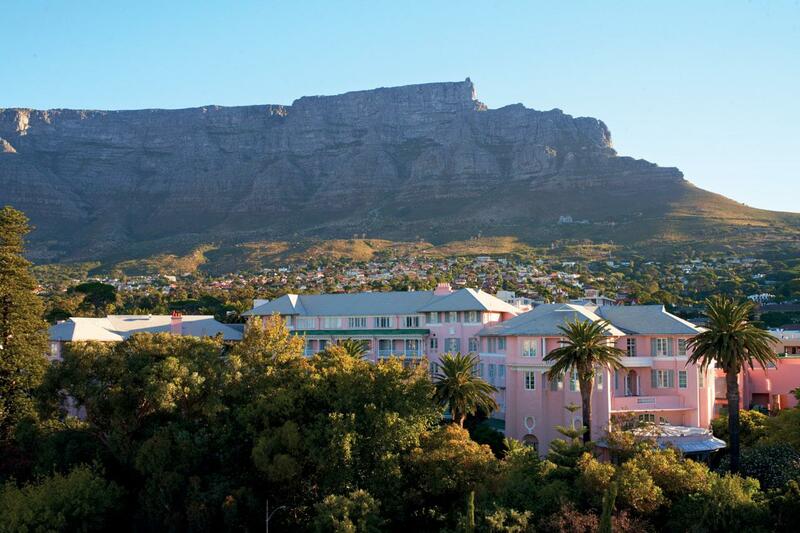 Guests can enjoy the lavish buffet feast while enjoying unbeatable ocean views, against the backdrop of Table Mountain. There are also two pools and a designated kid’s play area, which make it the perfect venue for a real Southern-Hemisphere festive celebration. Riempies is setting up a huge festive buffet which includes all the traditional favourites, like gammon and lamb on the carvery, and trifle and mince pies for dessert! Christmas Eve kicks off at the Mount Nelson with a stylish four-course dinner in the timeless Sherwood Room. Alternatively opt of a buffet dinner at Oasis Bistro. The Christmas Day offering is immense: choose between a set lunch menu, two buffet-style feasts, and a sophisticated three-course dinner. These meals are a classy affair, so dress smartly. Erinvale in Somerset West is serving up a Christmas lunch buffet in their Camphor Ballroom. Expect traditional Christmas fare with a modern, elegant twist. The recently opened Vigour & Verve is serving a festive buffet with the works. You’ll find an extensive carvery, delicious sides and salads, and a massive spread of Christmassy desserts. Groot Constantia’s Jonkershuis Restaurant is a great option for families, with its expansive lawns and duck ponds. They’re doing Christmas lunch with highlights such as Franschhoek salmon trout, smoked pork belly, and roast chicken. Foxcroft is serving a six-course set menu on both Christmas Eve and Christmas Day. Christmas Day is already fully booked so if you’re looking for a Christmas Eve dinner, this might be the place for you. The menu remains a mystery but is sure to be special and delicious. Menu: It’ll be a surprise! 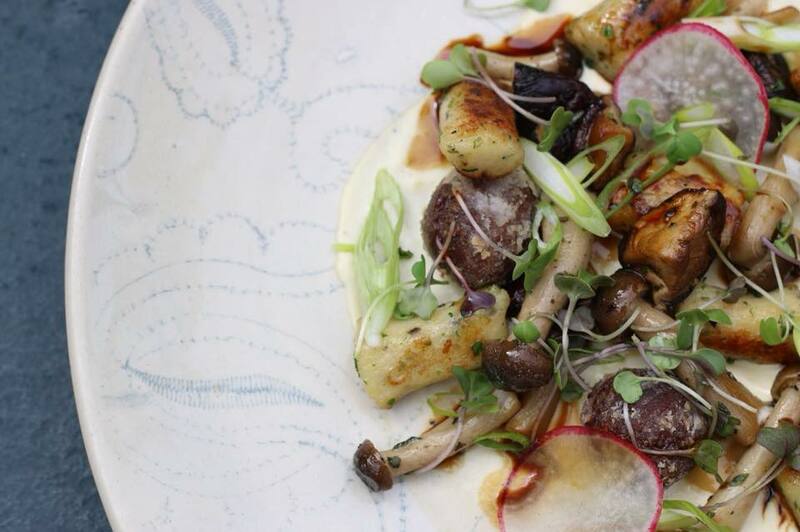 La Mouette is another of Cape Town’s favourites, located in the bustling area of Seapoint.For lunch and dinner, guests can expect a five-course tasting menu where butternut ravioli, roasted duck breast, and lemon meringue are just some of the delectable dishes on offer. The tasting menu is available from Christmas Eve to Boxing Day and will be the only menu served during that time. 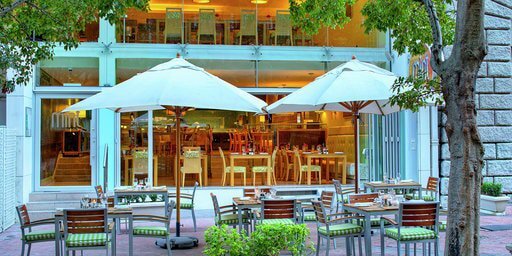 If you’re after a traditional Christmas lunch in the Southern Suburbs, look no further than the buffet at the Southern Sun. The carvery will feature gammon, lamb, and turkey, and there are plenty of tasty sides to accompany the meat. Set in classy Constantia at The Alphen Boutique Hotel, la Belle Bistro & Bakery offers guests only the finest rustic foodie flair, fresh and wholesome baked goods and myriad culinary delights. Celebrate a wholesome Christmas with la Belle’s set menu. The menu promises starters of seared beef and honey baked feta, the main course options include fennel and herb-crusted salmon and cottage pie. Opt for either burnt butter pear slice or creme brulee cheesecake slice for dessert to end your Christmas feast on a sweet note.